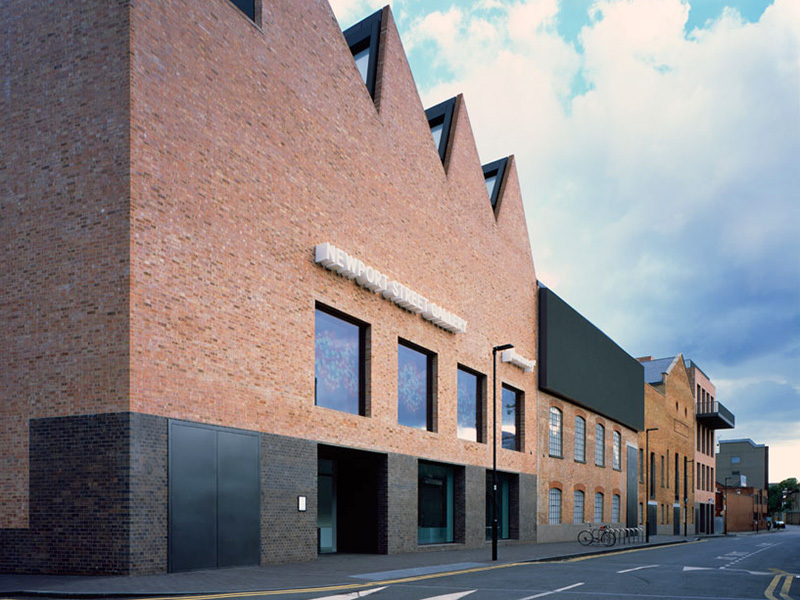 KCC Architectural are proud to have been involved in the Newport Street Gallery which recently won Carruso St John architects the Stirling prize for Architecture. The award is considered to be the most prestigious architecture award in the United Kingdom. It is the architectural equivalent of the Booker Prize for literature and Turner Prize for visual arts. This year the award went to Caruso St John Architects for the conversion and transformation of three listed Victorian industrial buildings, formerly carpentry and scenery painting workshops for West End theatres. 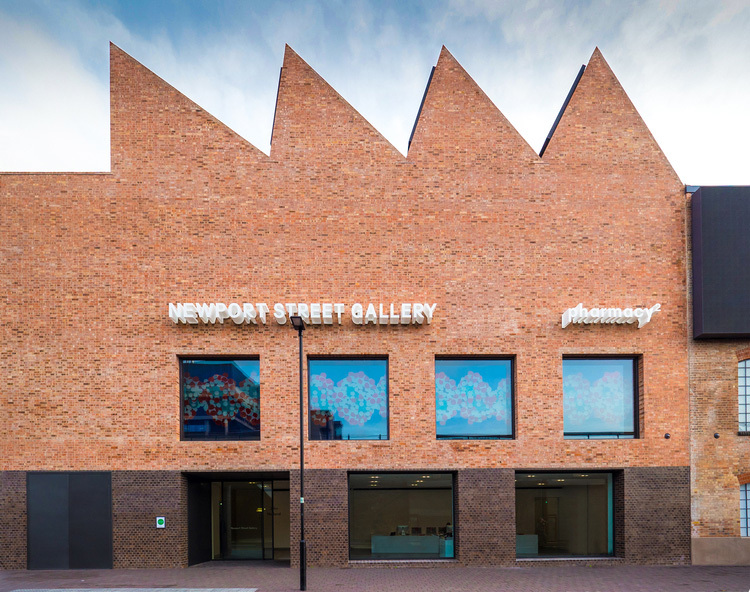 The remodeled building known as Newport Street Gallery is a free public gallery which houses the private works of artist Damian Hirst. 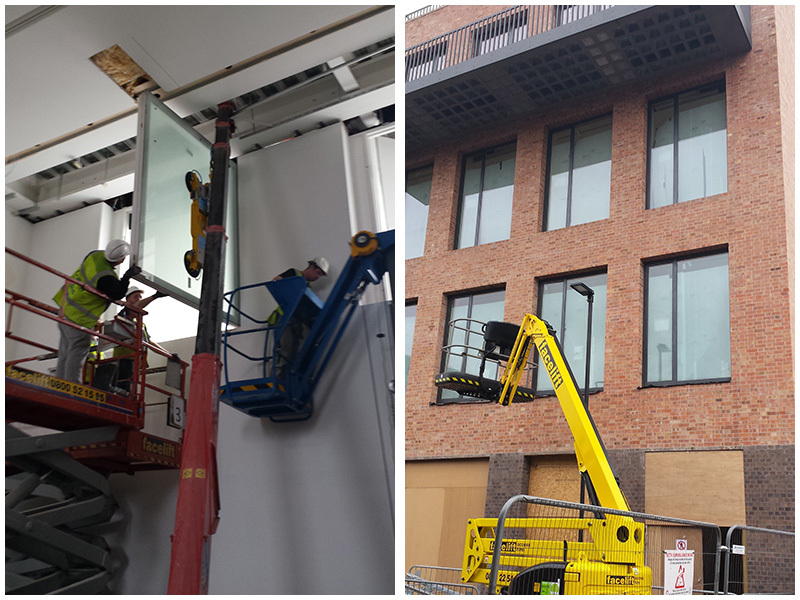 We supplied and installed the glazed facade of the building as well as the interior windows and doors. It was a very demanding project that required the installation of Schüco Jansen, Janisol SG structurally bonded glass windows, single opening sashes with low iron solar control double glazed units. 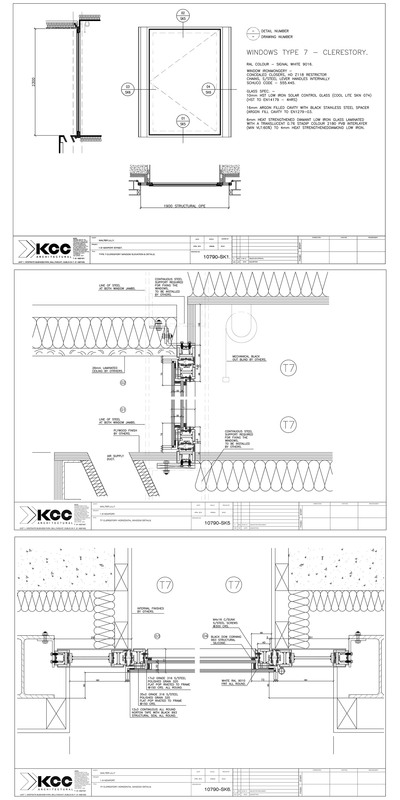 As can be seen in our glazing designs the size and weight of the facade glazing required Janisol SG reinforced profiles and extended reinforced framing. Complexity was also added by the fact that windows needed to structurally bonded to give the appearance of being frame-less while maintaining all the UV, humidity and air seals required of museum standard glazing. Our install team had their work cut out and there were a few nervous moments due to the size and weight involved not to mention the large crowd of interested spectators. It’s a credit to the design and install team that everything passed off so smoothly and the windows glided into place. Everyone here at KCC Architecural would like to congratulate Caruso St John Architects on their wonderful achievement. Should you need any technical advice on a complex glazing project feel free to contact us here at KCC Architectural our consultants would be more than happy to meet you.